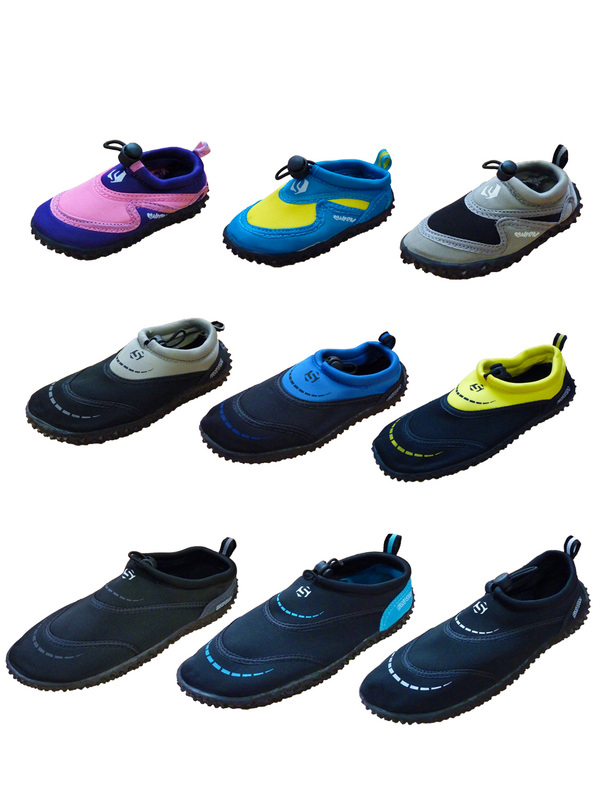 These excellent unisex Swarm aqua shoes are the ideal choice for any trip or holiday where you or your family will be in or near water. Perfect for beach holidays and climbing on rocks or to use in a wide range of water sports including kayaking, snorkelling, coasteering, swimming and even fishing. Their hard wearing, robust soles provide great protection from any hiding creatures (such as weaver fish and jellyfish). They have a comfortable, neoprene upper that will drain well and is also quick drying. These essential beach wear are at a very affordable price and come in stylish yet practical colours.